Leading single-seater squad Lanan Racing will make its long-awaited British GT bow at Brands Hatch this weekend (16-17 April). Promising teenager Alex Reed partners the experienced Joey Foster in a Ginetta G50 GT4 for the two-hour opener on the Grand Prix circuit. The silver-graded pairing will switch to the Porsche Cayman GT4 Clubsport for the remainder of the GT4 championship campaign. 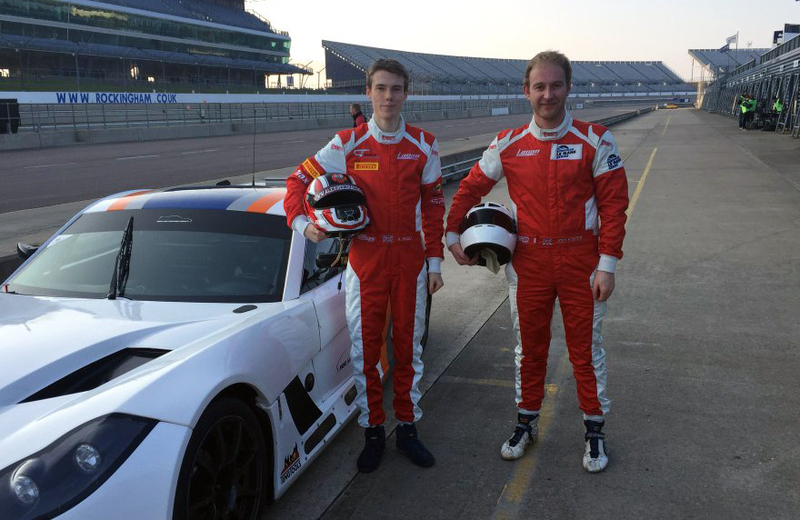 It will be the first foray into Britain's top GT championship for the team and both Reed and Foster. Reed, 18 years old from Sussex, graduates from a multiple-race-winning campaign in Lotus Cup that saw him finish runner-up in the Exige Class. He set the fastest lap on the way to to second place on the Grand Prix circuit during the 2015 season. Foster, 2003 Formula Ford Festival victor at the Kent circuit, claimed the Australian F3 championship in 2009, and has competed in the Le Mans Series and the 24 Hours of Le Mans. Qualifying for British GT GT4 Championship begins at 17:11 on Saturday, April 16, before the two-hour race on Sunday, April 17 at 15:30.